ESV Holy Bible for Kids, Large Print by English Standard was published by Crossway in February 2016 and is our 6152nd best seller. The ISBN for ESV Holy Bible for Kids, Large Print is 9781433550973. Be the first to review ESV Holy Bible for Kids, Large Print! Got a question? No problem! 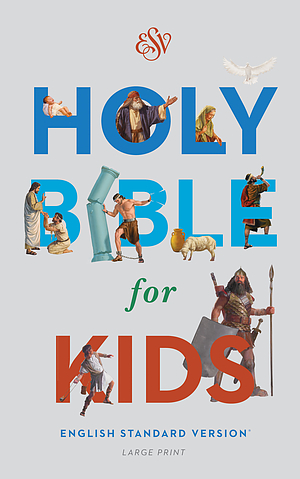 Just click here to ask us about ESV Holy Bible for Kids, Large Print. Suitable age of children for this kids bible ? A:I would recommend this Bible for ages 5 upwards, with assistance. Thank you for using the Q&A Forum.